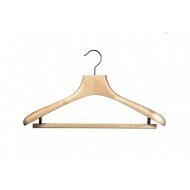 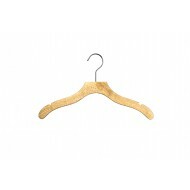 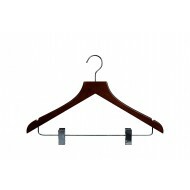 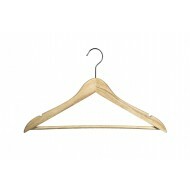 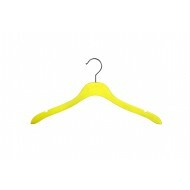 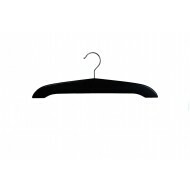 - Luxury hanger with a bar, natural lacquer finish, curved body. 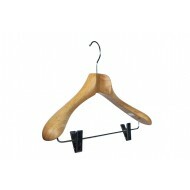 - Luxury hanger with natural lacquer finish, thin body. 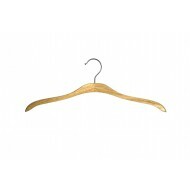 - Luxury hanger with natural lacquer finish, curved body. 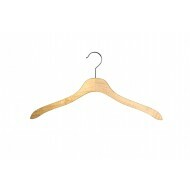 - Luxury hanger with a bar, 2 Metal clips, natural lacquer finish, curved body.